Visit Beaver Water District’s Water Campaigns Page to learn more about how the District works with Bentonville, Fayetteville, Springdale and Rogers and their customers to bring safe, clean drinking water, sourced from Beaver Lake, to homes and businesses throughout Northwest Arkansas. Visit Beaver Watershed Alliance to learn about volunteer opportunities to help us care for Beaver Lake. We Are Beaver Water District! We make your water clean and safe, because we care! It's Easy...Just Turn the Handle! 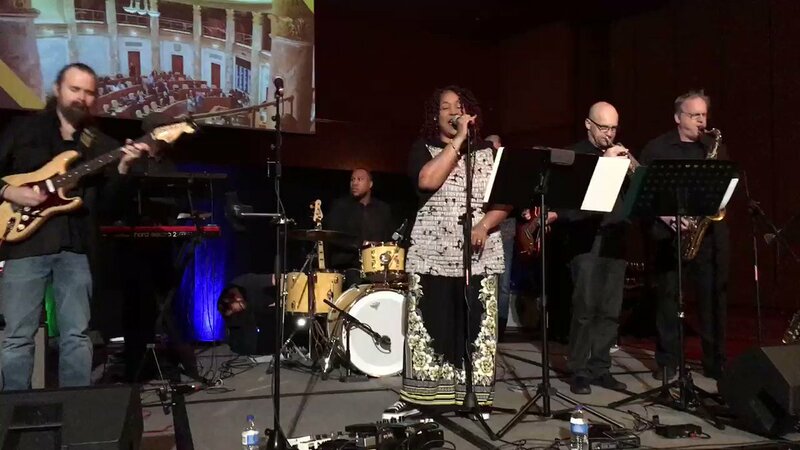 More than 50 years ago, visionary community leaders got together to discuss the need for a long-term supply of clean, safe water for Northwest Arkansas. 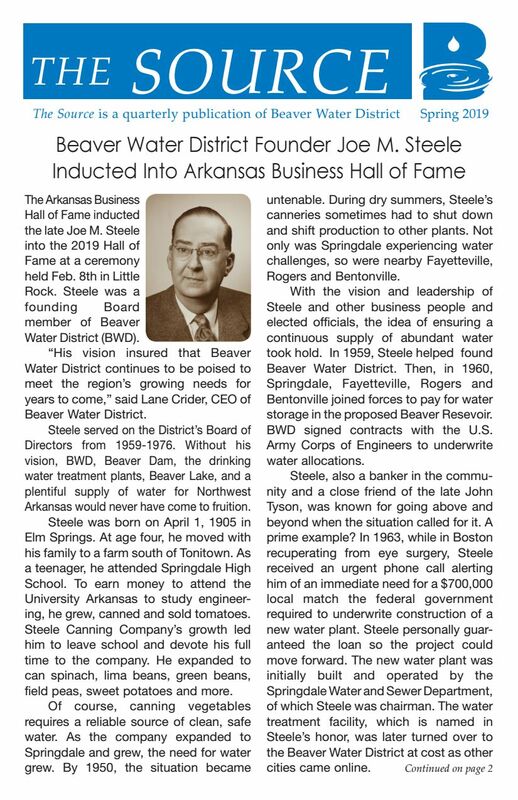 With an eye to the future and knowledge that a large lake was the best source of water, these citizens worked to establish Beaver Lake Reservoir. The dam that created Beaver Reservoir and the first water treatment plant (constructed by the City of Springdale) were completed in the mid-1960s. Since that time, Beaver Water District (BWD) has expanded facilities and improved to keep up with increased water demand and stricter drinking water standards. BWD is a Regional Water Distribution District enabled by Arkansas Act 114 of 1957. BWD’s mission is to serve our customers’ needs by providing high quality drinking water that meets or exceeds all regulatory requirements and is economically priced consistent with our quality standards. 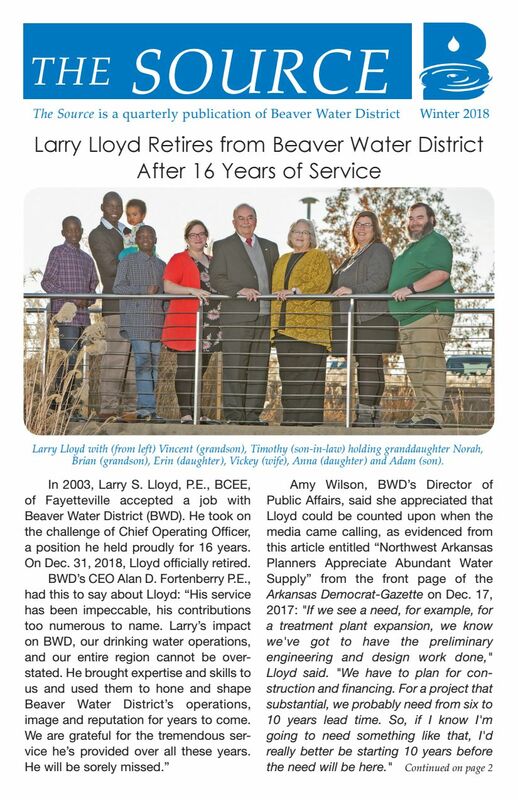 BWD supplies clean, safe drinking water, sourced from Beaver Lake, at the wholesale price of $1.36 per thousand gallons to four customers — Fayetteville, Springdale, Rogers, and Bentonville. These cities in Northwest Arkansas then pump, store, distribute and resell the water to more than 330,000 people and industries in their cities and surrounding areas. For more information, visit our Service Area page.